a few friends and family in my garage and backyard in the summer of 2011. I wasn’t sure that teaching people how to squat was something I wanted to do full time. I put my real estate business on hold due to the economy at the time. I found myself with the time to share this new thing called CrossFit that I had stumbled upon 18 months earlier. I had a 10 x 10 wooden platform built in my backyard and installed a rig on it. 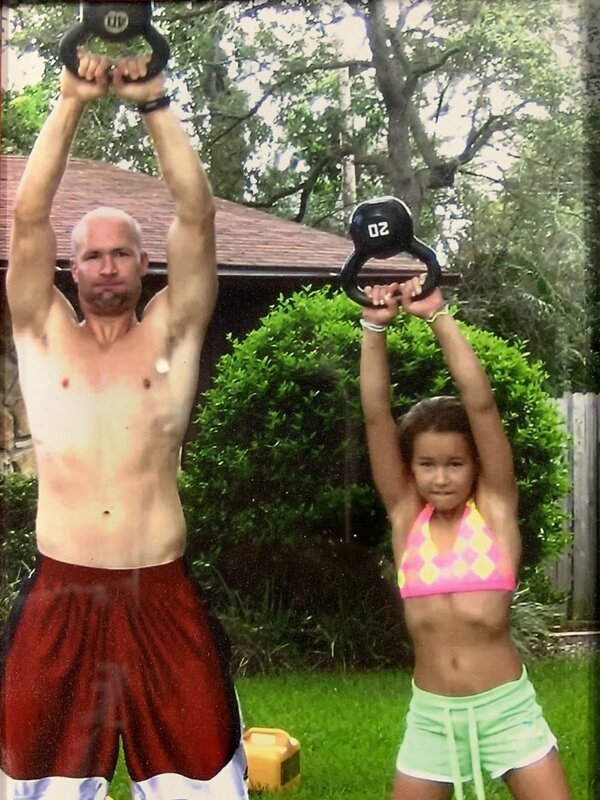 We threw barbells around in my front yard and ran around the neighborhood. Needless, to say my neighbors were not thrilled, but I was because I decided to do this for real. In late 2011, we affiliated CrossFit Clearwater and moved into a 1,500 square foot building on Clearwater/Largo Road. The space was a former yoga studio. Looking back it seemed tiny but it worked. We had track lighting and mirrors. We replaced at least 4 of those mirrors and realized dropping barbells and glass don’t mix well. We didn’t need an On Ramp program because everyone was a newbie. There were two rowers, two ghds, a few barbells, a handful of wallballs , a couple of kettlebells, and one sled,but there was a lot of fitness being created in that little Box. In April of 2014, we moved into our next home. It was 3,500 square feet and it seemed so big. We bought more equipment and our community grew. We had our first Box Christmas Party and our social dynamic of the gym took off. After four years we outgrew our second location and moved into 1281 South Lincoln. This is the facility that we have been working towards for years. This property was the catalyst to begin the evolution of CrossFit Clearwater into Clearwater Fitness Center. It’s 8,500 square feet with a very efficient floor layout and it feels even bigger. The building is air conditioned with newly remolded Locker Rooms. We have a huge outdoor training area with artificial turf and a Rig with 7 lifting stations. The Yard as it is affectionately called is most people’s favorite amenity of the gym. It is an extremely versatile space. You may see a yoga class enjoying the Florida sun. A CrossFit class pushing sleds, carrying yokes, jumping hurdles, the options are endless. One of my favorite areas of the gym is the basketball court. I’m looking forward to a lot of good times on that court. The most exciting aspect of Clearwater Fitness Center is the growth of our community. Our motto is simple, “Great Fitness Better Community!” Come see what we are all about you won’t regret it.